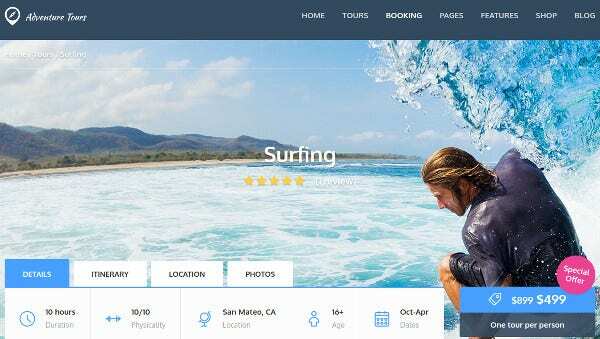 The set sail is a premium responsive WordPress template that is specially handcrafted for travel agencies and tour operators. It houses all the necessary travel features including the appointment booking system. You can add your blogs to the website and apart from the running campaigns and social sharing would be much easy now. 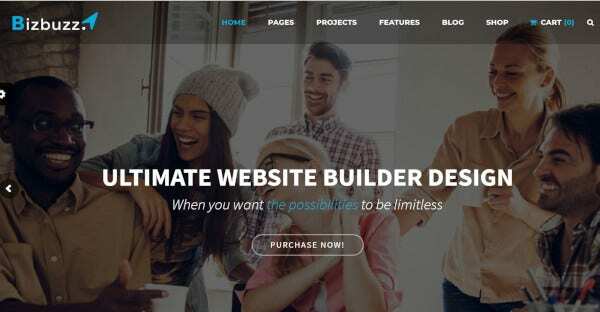 This WordPress template comes with the easiest and reliable page builder, elementor. When you have elementor, you have the option to customize anything and everything. The website is highly responsive and it accommodates itself to any screen size. It is SEO friendly and also supports Google fonts. And moreover, it is ready for all retina and 4K displays. 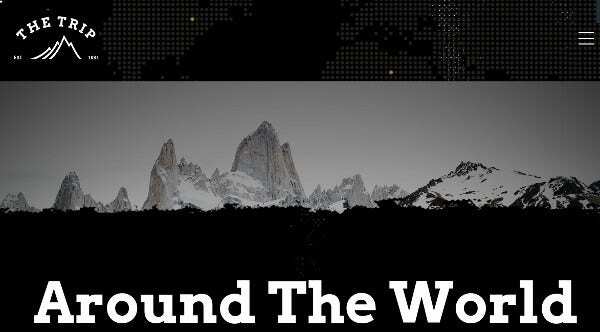 The Let’s Travel theme comes to hand made by using HTML5, CSS3 and Bootstrap frameworks. It is a responsive website. 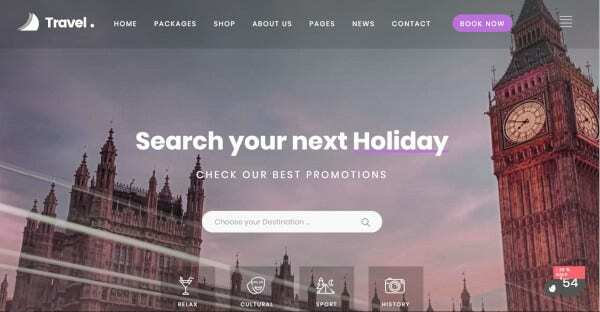 The theme package offers Parallax effect, easy customization and a wide range of layouts for each of the travel requirements, like booking a hotel, renting a car and many more. The powerful booking system makes the booking process easy and also much faster. 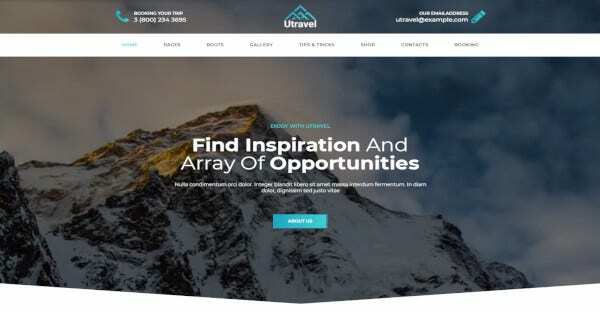 Utravel is a new age travel website template. The template comes with wide-ranging customizability and social sharing options. It also enables you to install the page builder to even create your website from scratch. It features some of the essentials of any travel website like appointment booking, visual editor, demo content installer and many more. Adventure Tours is integrated with WooCommerce to make payment process easy and you can also customize according to your needs. The design is responsive and is bootstrapped grid based. The minimalistic design is most likely to attract anyone who sees it. It also comes loaded with a number of icons and google fonts. Customization is at the peak. Journeo is the most up to date WordPress template. It is solely made for travel agencies. It has got a wide range of functionalities and features, name any and you would get anything. It is coded in HTML5 and CSS3. It has got a variety of web forms like Contact forms, newsletter forms, and search form. Love travel WordPress template is for travel lovers. It is compatible with everything be it internet browsers, devices and screen sizes. It supports high resolution and is widget ready. The package also comes with layered PNG files, JS, CSS and PHP files. The template also comes with page builders and documentation files, which will help you redesign according to your wish. 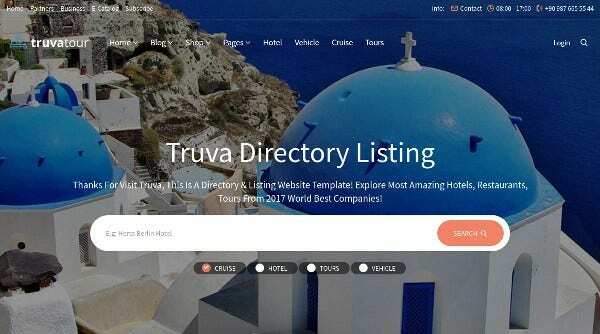 Trip and guide feature a clean and modern design layout that is best for travel agencies and tour operators. Being loaded with features and customizability, you can create your dream website, attract people and sell well. It is SEO optimized and supports multi-language. It also comes with comprehensive documentation, so making changes won’t be difficult. 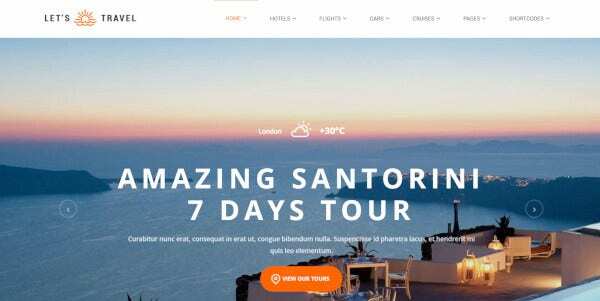 Solaris is the travel agency WordPress theme. It not only comes with the power for WordPress, the most accepted content management system, but also it has additional features to suit all your needs and requirements. It is completely mobile device optimized. So viewing on smaller screens will be easy. 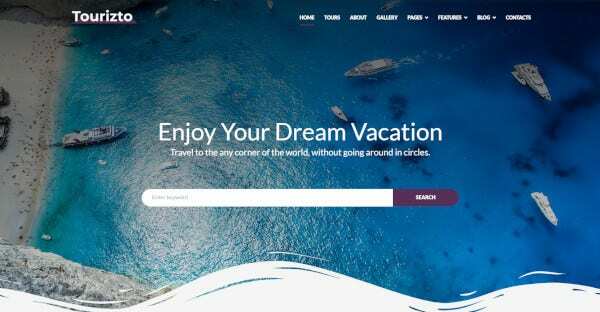 Travel Everywhere is a highly responsive WordPress theme that would be best for your corporate website if you deal with tourism and travel. It comes with WP4+ compatibility along with multiple options to customize. The layout comes with multiple features, but you can change it according to your needs. It also has all the social sharing features. This is the WooCommerce ready WordPress template that should be your first choice if you are shifting your offline business to an online platform. It only gives you the power to enhance the design but also makes you sell your products faster and any of its counterparts. Appointment booking can be done over the website as it supports a number of payment options. 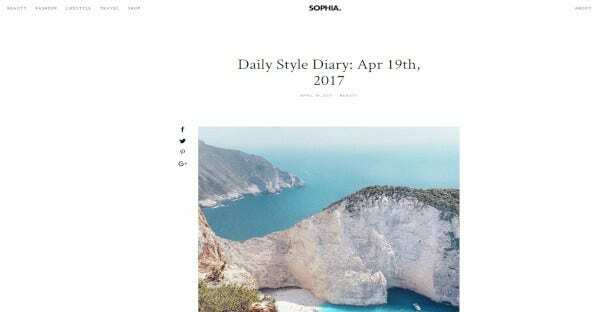 Sophia is a travel blog WordPress theme. This can be very handy when you wish to go for travel blogging. The home page features a big banner and call to actions all over. You can it also a child theme and you can change colours and font according to your requirement. Bizbuzz is a responsive and multi-purpose WordPress template that can be used for any purpose. When you have the option to customize, then make it your own and start selling your tour and travel services to your customers online. This is papal ready so all your you don’t need to worry about collecting payment for bookings. 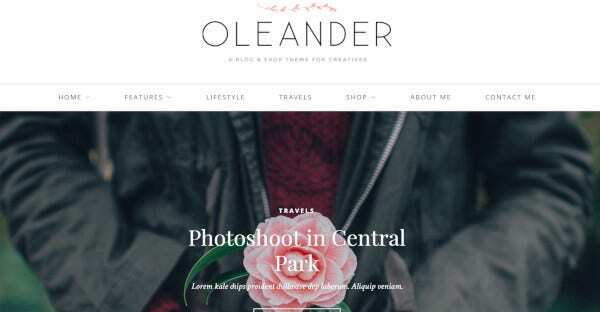 It is one of the best offerings from travel blog WordPress themes. It is one of the most popular WordPress templates at this time. It has got live customizer that help you literally build anything on the web. And the most important thing is that it comes with the Jet element and blog plugin. The Core is another offering from ThemeFuse that is perfect for any business. It has everything that WordPress has got to offer you, but it also has something more which can make your customization game easier than ever before. You need just to install the template and then choose from a wide range of internal pre-made websites according to your needs. 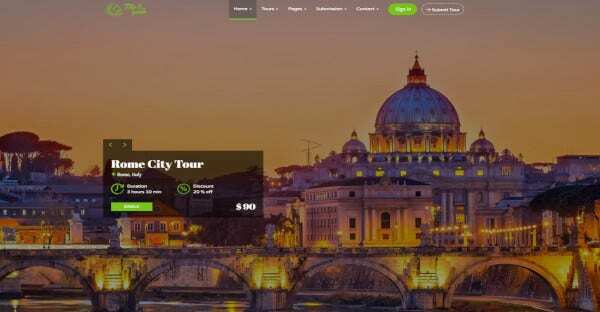 This is a fresh looking modern WordPress template that is only designed for tour and travel agency as well as business ready entrepreneurs. It has more than five different layouts and more than 3 column area. It gives you the power to change the post formats according to your wish. 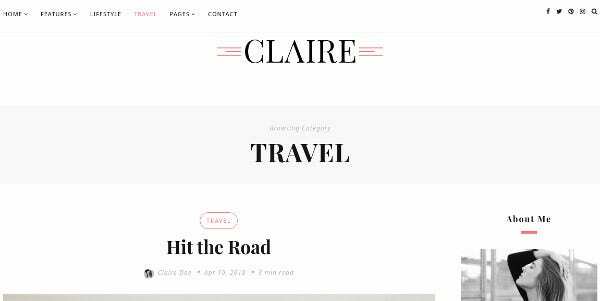 Claire is an elegant WordPress theme and it is just awesome for travel, photography, fashion and a long list continues. In other words, it is a multi-purpose responsive website template. It comes loaded with more than 15 different blog layouts and 4 home page hero sliders. You can add all your custom widgets and it is moreover translation ready. It is an aesthetically design beautiful WordPress template that keeps in line parallax scrolling and carousel sliders. These days’ sliders have become an integral part of the websites. And portfolio genesis is good at that. Not only a travel website, one can also use it as a blog and portfolio websites too. Treb is a highly responsive WordPress template that comes with more than five different blog layout variations. It also has a WordPress live customizer. It is built on Bootstrap 3. You can include your map with the help of Google map shortcodes, so your guest would never find issues in reaching your place. 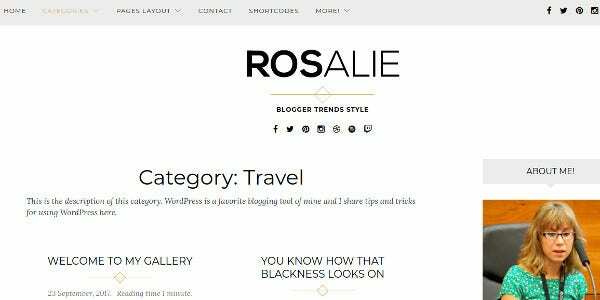 Rosalie is basically a lifestyle blog WordPress template. It can surely be a great option for travel agency website development. It is a clean design layout so that it would have a great UI/UX, which in term will help the visitors to easily navigate through the pages and end up in a conversation for you. In this time, when you think website design and development, you think WordPress, and the next thing that comes to your mind is a premium template. 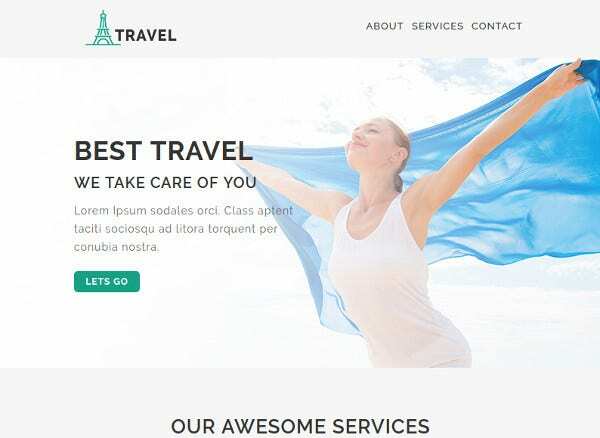 Above mentioned are some of the premium templates that you can use for your travel website development. Easy to design and easy to build! What do one need more?